• Delivers Intended Results: completing a PhD; delivering and managing a pilot programme directed towards international students on raising awareness of environmental sustainability at Curtin University. 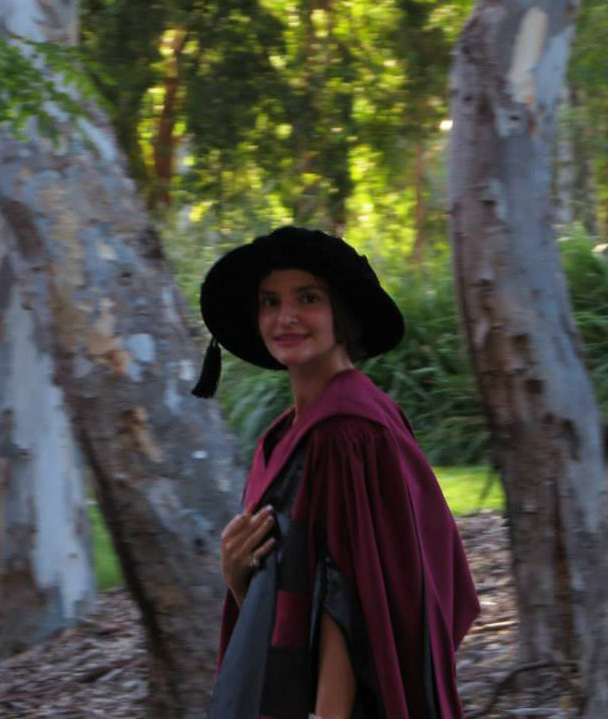 • Manages financial and physical resources is an essential part of my PhD project, as well as international research on Biomimcry (Biological Mimicry) across Western Australia and Eastern Europe. As a result, I published papers and educated students across the world on innovative designs. • Achieved Bachelor of Arts in Economics (Labour Studies), Master of Philosophy in Gender Studies and have submitted for examination a PhD in Sustainability studies at the Curtin University Sustainability Policy Institute. My multi-disciplinary PhD combined economic, environmental and economic aspects of sustainable development and it builds on my previous educational experience in Economics, Philosophy and Environmentalism. It examines the multiple dimensions of the human-environment relationship in the light of people who have recently arrived in Australia and who are engaged with the environmental movement. It produces a multicultural mosaic of the 21st century as a hub for sustainability. In doing so, my PhD titled ‘Migrants and Nature’ also examines the hybridization between two very significant movements: the movement of people across international borders and the rising role of the environmental movement. The two are examined from a sustainability perspective: the economic, social and environmental impact which recent migrants are making in their new environments. • Facilitated partnerships in social enterprising as a Consultant for Social Suite on social aspects of community development. • Working with communities and organisations in Australia, Europe, Russia and New Zealand in academic context. • Values individual differences and diversity: my biggest contribution lies in conducting social research with multi-cultural groups and people from culturally and language diverse communities. As the origin of continues from which people migrate, continues to grow, so is the multicultural mosaic of society changes and develops. Hence lays the importance of the ability to conduct a social research including a wide range of society. • Working as a Partnership Biodiversity Officer for an international environmental NGO, Earthwatch (Oxford). My approach in working with stakeholders and external partners is that this is the most essential skills to have in any one discipline or area. I have seen large corporations (such as BMW) change their behaviour and adopting environmental practices contrary to common beliefs due to working in partnerships with environmental organisations. One should never underestimate the power of working in collaborations with other organisations and people. In fact it is the only, that a social and environmental change can occur. • Working with students, members of the community and scientists to develop a comparative study of the South West region of Australia and Easter Europe in an experiment in design project on ecomimcry. • As a lecturer in Human Geography (University of Notre Dame) and Physical Geography (Curtin University), I have re-developed a unit outline using my own judgements and initiative; also developed a unit outline for a unit on International Political Economy. • I am able to prioritise and re-prioritise task and to successfully juggle multiple roles as a postgraduate student, a sessional academic, a researcher, a lecturer, an editor, a representative of women academic staff at WA for the NTEU, as a film fest organiser, to name a few. • As a lecturer for an online unit on “Introduction to Humanities” I learnt to be flexible with my time and to adapt working at different locations: from home, public spaces as well as different universities campuses with equal success and State Library. • Throughout my tertiary education and consequent work experience I have demonstrated research excellence and the capacity to communicate clearly for different audiences. The readership interest expressed in the journal articles, which I have authored are evidence of my written communication skills, as well as preparing my thesis for examination. In particular, the article ‘Negotiating Gender’ has generated a wide interest and has been downloaded at least once a day since it was published in December 2010. • I am able to manage different sets of databases, access the latest and most relevant appropriate data on the ABS statistics, compare and combine images and crafty use my artistic skills to present the findings in an interesting way to the relevant audience. • Experience as a radio producer and radio presenter (BBC World Service, Wellington Access Radio). I am the recipient of an international Silver Mark Time Award (best science fiction audio-novel). The sequel was also widely broadcasted in North America (including satellite radio) and was well received by a variety of different audiences. While I was employed full time, I was working at the radio station in my spare time, which is also evident of my time management skills and self-motivation. During this time, I developed the ability to write for different audiences. • Conference facilitator, liaising with other researchers in person and over the phone as well though a number of presentations, conference attendance and workshops. • Public Speaker for Oxfam Australia, delivering lectures on the role and mission of Oxfam in front of large international audiences. I have also experience as a radio presenter while enterprising new programme ‘The Orchestra of Thought; at Wellington Access Radio for a period of nearly two years. For a full list with skills and expertise please click Silvia Lozeva.